Watch highlights of the Generali Open Kitzbuhel final, as Martin Klizan captures the title with victory over Denis Istomin. 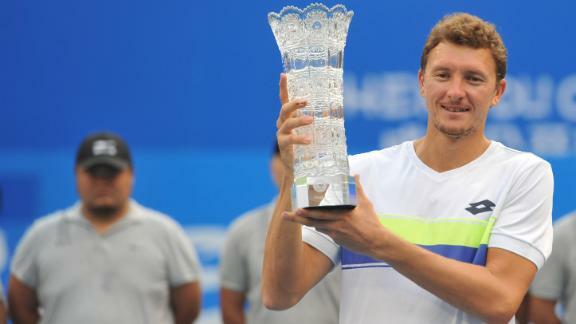 Martin Klizanwon his sixth ATP title in six finals when he beat Denis Istomin 6-2, 6-2 at the Generali Open. The second all-qualifier final on the tour since 1990 was wrapped up in 68 minutes. 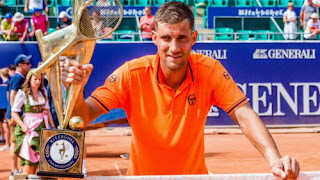 "My performance was the best of the tournament" Klizan said. "There was pressure for both of us. I played a very solid game." Denis Istomin ousts German Philipp Kohlschreiber, a two-time Stuttgart finalist, to advance to the second round of the MercedesCup. A resilient Denis Istomin prevailed in four sets against Pierre-Hugues Herbert to progress to the second round. Denis Istomin won the 2017 Chengdu Open title after opponent Marcos Baghdatis was forced to retire with a back injury. Istomin was leading 3-2 when Baghdatis fell to the court and was unable to continue. 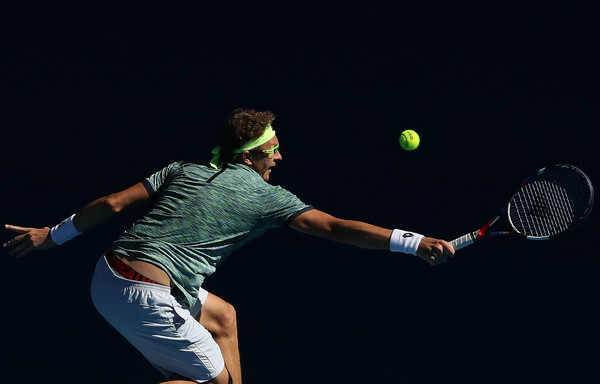 "I know his situation, because I've had a lot of injuries," said Istomin. "I know the feeling and we are good friends, so my first thought was to help Marcos when I saw him go down. Of course I want to win the title, but not this way. I hope he gets better and will be okay for the rest of the season. Richard Gasquet lost 1-6, 6-4, 6-4 to Denis Istomin in the first round of the Moselle Open on Tuesday, while top-seeded Pablo Carreno Busta withdrew from the tournament with an injury to his left hand. 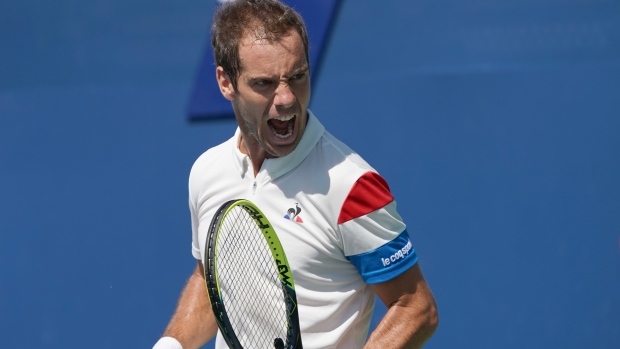 Organizers said the 10th-ranked Spaniard, who made it to the semifinals at the U.S. Open and was due to play his opening match in Metz on Thursday, had been replaced in the draw by Frenchman Kenny De Schepper. Q. Was it tough to come back after that big match and win again today? DENIS ISTOMIN: It's mentally was tough because after beating Novak, I mean, Carreno is also a great player. After beating Novak, I don't want to lose like three sets in a row, and then everybody saying that I'm was dead. I recovery well. I was ready for the match. I think I play good, as well. The condition was different, of course. The center court is much slower than that court. So my return wasn't working like with Novak. Carreno is a big server. But in the end I'm happy to win. Q. How did you do it? So many players who score huge upsets, the next match is not so good. DENIS ISTOMIN: I mean, I don't think about much I win against Novak. I mean, in the end it was win, you know. I have to play again. I was trying to think about the next match, not think about who I'm beating, what I have to do, think about it. So, like I say when I beat Novak, I will celebrate after. Now I have to concentrate on the game, try to do myself, try to find my game every match, trying to win. Q. Your long match against Novak, a reasonably long match today, what did you do to recover after your match with Djokovic? DENIS ISTOMIN: I sleep well, first of all, yeah. Mostly people ask me if I sleep well after that match with Novak. Surprising, but I sleep really well. So I was maybe tired so much. I sleep really well. Next day I just practice maybe 40 minutes. Eating, drinking a lot. Just normal stuff. Resting. So I think that's it, yeah. Q. How does the body feel now after this? DENIS ISTOMIN: In the beginning of the first set, I was feeling some muscles was tight. But after five games, I feel okay. Q. What was the reaction back home after beating Novak? Did you get a lot of emails, texts, phone calls? DENIS ISTOMIN: A lot. A lot. Especially on Facebook, as well. I have no time to answer everyone, so I just put the, like, Thanks to everyone. Sorry, but it takes one month to answer to everyone, I need to prepare for the next match, and everybody was happy. Q. What did you have for breakfast? Did you have the same thing today as you had two days ago? DENIS ISTOMIN: It was a sandwich with avocados and tomatoes. I like avocados. Q. Have you ever experienced back-to-back five-set wins like this before, or is this the first time? DENIS ISTOMIN: I remember I played at Wimbledon. I don't remember which year. I beat Wawrinka five sets, then Schuettler five sets, then lost to Berdych five sets. It was a good experience. It's not surprising this time, as well. I play a lot of Davis Cup matches. The five-set matches I really like in my mind always, so it's okay. Q. What do you know about either of your next opponents? DENIS ISTOMIN: I think they play tonight. I am losing to both of them. I think to Richard I lost, like, maybe five or six times, and only once I beat him. With Grigor, also I think I beat him when he was like 17 in challenger, three sets. Was tough match. But I lost then in Shanghai. I mean, they're like top-10 players. I just trying to play like I play with Novak and today, and we will see. Q. 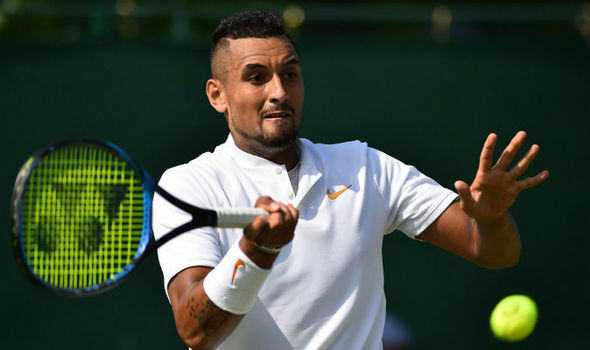 You beat Djokovic, come back and win another five-setter. Can you win the Australian Open? DENIS ISTOMIN: That's question I cannot answer. I mean, I came here to win some matches, maybe to win Australian Open. But I don't think about it now. I just think about next match. Q. What did your coach say after today's win? DENIS ISTOMIN: Said again, Great job (smiling). Q. Does she ever get excited? DENIS ISTOMIN: Maybe if I win Australian Open, maybe she will. But I'm not sure. World number 1 Novak Djokovic was a surprise exit in the second round. We captured his reaction and those of this fans. Denis Istomin upset six-time Australian Open champion Novak Djokovic 7-6(8), 5-7, 2-6, 7-6(5), 6-4 after almost five hours of play at the Australian Open. "It is unreal," said Istomin. "To beat Novak in five sets, it's a great win. I'm still feeling a little bit tired. I didn't expect to be doing what I'm doing now and what I did on the court. I like the way I am playing. I feel just tired. I am not thinking, 'I just beat the World No. 2'." 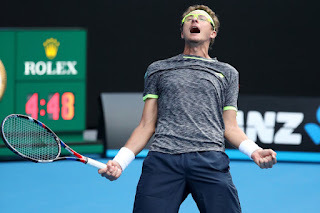 Denis Istomin following his second round win over Novak Djokovic at the Australian Open 2017. Match point and Denis Istomin following his stunning second round victory over defending Australian Open champion Novak Djokovic. 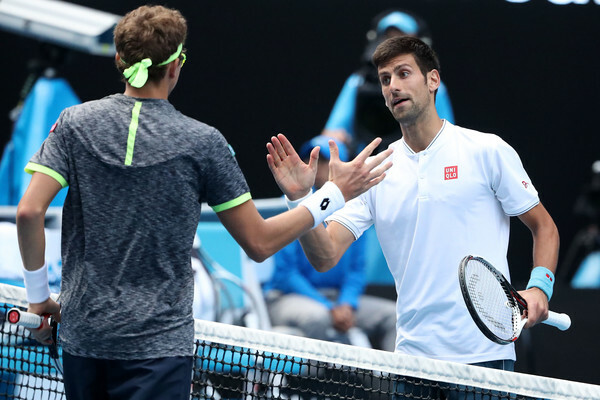 Novak Djokovic & Denis Istomin discuss going straight to tie break after a marathon first game. Q. Have you had a little time to absorb the win, or does it still seem kind of unreal? DENIS ISTOMIN: It is unreal. To beat Novak in five sets, it's a great win, you know. I'm still feel tired little bit. I didn't expect what I'm doing now and what I did on the court. I like the way I am playing. I mean, I feel just tired. I don't think about that I win against No. 2 in the world (smiling).